Our vision is to empower all of us – growers and eaters alike – to take control of our own health and our food supply. Growing nutrient dense food is revolutionary; it is the renunciation of a culture that values profit at all cost. It actively creates a culture that supports life, health and self-reliance. We hope you will join us in this revolution. We pass on our knowledge of how to grow nutrient dense food regeneratively. Thanks Erica. This is either the third or fourth year of using organicalc on this particular spot. I have been very pleased with the results. I had a great garden this year with a super harvest and used no supplemental fertilizers on the bulk of it other than the initial recommendation. I do give my competition giant veggies supplemental feeds, but that’s a whole different playing field. I grew seven “giant” cabbages this year and entered the largest in our Alaska State Fair. Five of the seven went more than 50 pounds. I credit most of the success to Organicalc and having a balanced soil to begin the gardening season with. Thanks for providing such a valuable service. Our gardens are growing really well since we started using your OrganiCalc method. I couldn’t be happier. I’m also spreading the word about this to our farmers market customers and community garden volunteers. I had a sick child at the time and found the root cause was vitamin/mineral deficiencies so the most effective and affordable way to correct this was to grow our own food since store-bought organic is still not mineralized to a persons need… Stumbled onto your book Intelligent Gardener in 2013 and have used and loved the results ever since. I have a passion to help people grow their own mineralized nutrient dense food unto healing their bodies and minds. 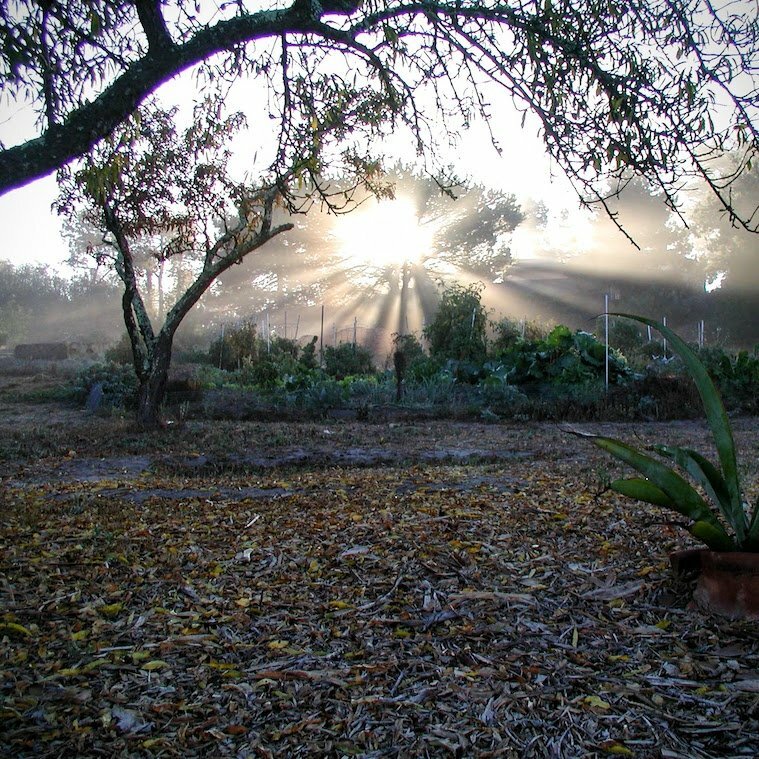 I own and operate a small 20 share 1/2 acre CSA and an herbal consulting business. I am indebted to you and Steve for the knowledge, wisdom and passion you pour into growing. It has forever changed my life, my family’s life and hopefully everyone we meet. Thank you!!! So many Quadra (and Cortes) Islanders have much more productive gardens thanks to Organicalc and your hard work. Now some of us are getting into remineralizing our orchards, and the results have been spectacular so far. We’ve very, very thankful to you! I’m quite thrilled with our soil results this year – it was in pretty abysmal shape 2 years ago, but we have worked hard with remineralization to get it to where it is. We’ve brought our pH up from 5.5 to the current 6.2. I think our biggest change was calcium – we had a huge deficit the first year and now it seems to be pretty balanced. We can tell a huge difference in how well it has loosened up our clay. We are mineral converts for sure! Thanks, Erica. Great service! We make a blend of soil and compost that we’ve amped up with your recommendations and it’s working really well for our customers here in New Hampshire. I am always bragging about “the Intelligent Gardner” and how following your recommendations have transformed my produce into incredibly nutrient dense food! People rave about our greens and claim to have never eaten such great, tasty and long lasting greens!!! I am bragging, but I give you guys so much of the credit!!! 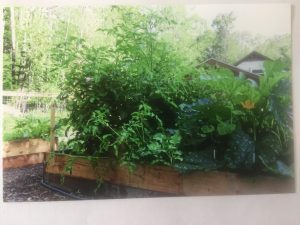 Your site and calculator and recommendations are brilliant – You guys have made my garden and the food it produces into an amazing experience. A M A Z I N G. The produce tastes like it used to when I was a kid….I just thought my taste buds were wearing down, age, etc. But it turns out, with testing and your amendment recommendations, it is all back in place! You have been generous with your time and knowledge, thanks again for your input. I really appreciate the work you do. It has greatly improved my farm! Just wanted to tell you the results of my ‘new improved’ veg garden after your advice…EUREKA! In 30 odd years of gardening I have never experienced healthier veges. Not a bug or disease anywhere, my tomato crop (6 strains) is still going strong. Thank you. This was also done with minimal composting. I am teaching a soils class tomorrow and will again be showing the class your OrganiCalc website. I really enjoy it and have had great results in my own gardens. Thanks again. We had our best garden ever last year and found that the quality of the vegetables was much improved. It is the first year we have re-mineralized the soil and it seems to have made the difference. Next spring we will take fresh soil samples and add what is required. I encouraged, helped and analyzed soil for several of my neighbours and they are pleased with the results. Generally, your book and efforts have been very supportive and have expanded our knowledge of growing healthy gardens. I am a soil scientist (for 34 years). However, my specialty is field mapping of soils, not soil fertility. I have been very pleased with your on-line calculation program. It makes everything so quick and easy. 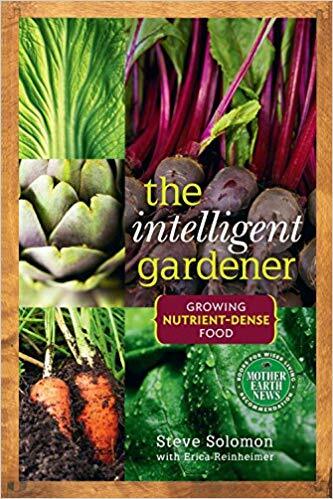 I’ve posted to this group in the past to mention how remarkable my garden is this year, after reading ‘The Intelligent Gardener,’ getting a soil analysis, and remineralizing as called for (I mineralized two years ago). The flavor of the food is noticeably better, insect damage is pretty much non existent, and everything I’m growing this year is doing very well. The exception being some tomato plants that are just starting to get blight, but it has been a very wet and cold growing season in upstate NY, USA. Soil remineralization truly is the “missing link” in the quest to successfully grow wholesome food in a home garden. Thank you, Steve and Erica! 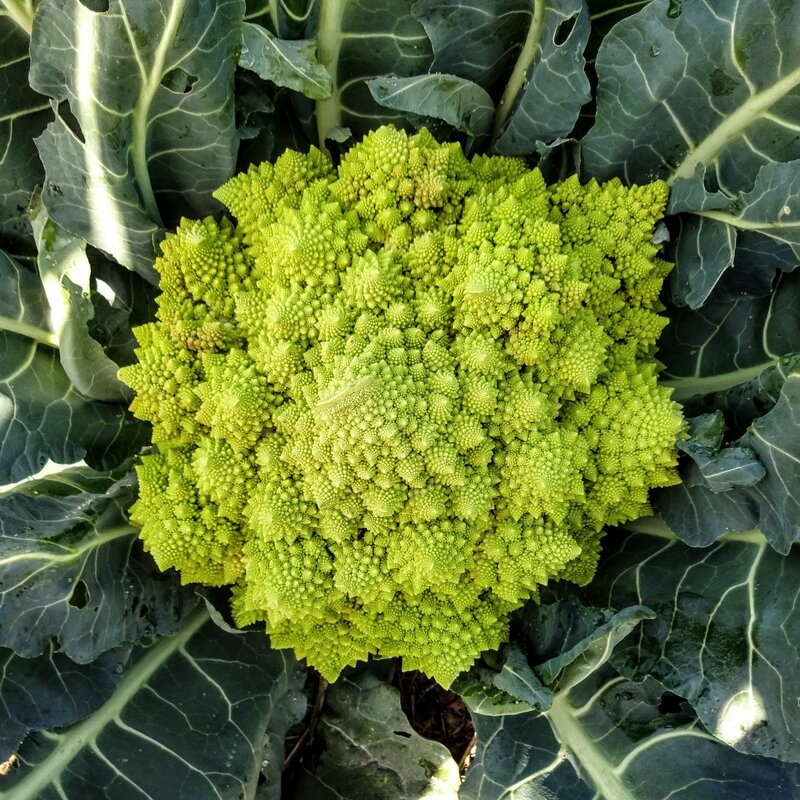 The Grow Abundant OrganiCalc worksheet is both powerful and easy to use, and the results I’ve had using it on my farm have been nothing short of spectacular. Erica has opened up the world science-based remineralization to everyday gardeners and farmers, and has allowed us to take control of the health of our soils. I’ve had a great experience with the calculator, both for creating my own soil blends and for helping a handful of friends. 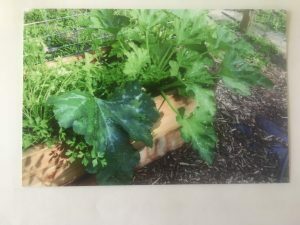 I’ve been able to improve results drastically in my home garden, which may have been a bit out of whack for a few reasons – including sourcing bad ‘raised bed soil mix’. I’ve really enjoyed watching your site evolve – it is looking fantastic. We had an excellent garden last year and this year is off to a good start. I appreciate the work that you do and am constantly publicizing it to our Grange Gardener’s Network on Lummi Island. Hi Erica – I don’t know that my feedback will be very useful yet, as I’ve only used Organicalc for the first time this year. However, I will say that the broccoli, peas, and fava beans I planted in the 100 s.f. plot I used Organicalc for are doing amazing! They’re super green, showing absolutely no signs of disease so far, and are growing really fast! We’ll see how it goes as the season continues but atm I’m very impressed and satisfied! So far so good with the garden! Some feedback. I really like how easy it is to use. I had already bought my amendments for the year so I had to convert some of the recommendations. I will be testing again in the fall and am looking forward to seeing the results. I really appreciate all the work that you have done. This is a great tool and I am recommending it to many of my friends. This makes the process of remineralizing so much simpler and easier. This is the first year that I’ve used OrganiCalc to plan the fertilizers that I apply to my garden. I had always considered my vegetables to be pretty good, and I often received a lot of compliments from other people. But – holy smokes – my first crops in my re-mineralized beds are strikingly different than I’m used to. These are Red Russian and Toscana kales. Gorgeous blue-green coloring, and the leaves feel about twice as thick as normal. They are incredibly crisp and succulent! I’ve never grown or bought kale that looks or feels like this, and I’ve gardened for decades. And, despite the fact this it is now late spring with temps up near 80 F, I’m not finding any bitterness in the kale – whether steamed with other veggies, or blended raw in a green smoothie. So far, no cabbage worms or cutworms either – my major pests for this crop. Of course, that may change as the weather continues to warm up. We’ll see. I’m really looking forward to seeing how my other crops do this year! Thanks so much for sharing your knowledge and experience with re-mineralization. I love the calculator and the personal touch you put on the report. Thanks for this service, it is invaluable to me, absolutely! You helped me back in December (2013). I had applied Solomon’s COF earlier in 2013 then followed your recommendations and applied your suggested amendments during the winter. My garden, in past years, has been plagued by pests most notably stink and harlequin bugs with some squash bugs and cabbage loopers thrown in for good measure. This year, so far, I have spectacular lettuce and spinach (the best I have ever grown, by far) and brassicas that don’t seem to be getting much attention from the cabbage moths. I have only seen one harlequin bug so far. The real test for me will be to see how my tomatoes do against the stink bugs and their onslaught that usually begins in July. I bought a refractometer to check brix. My results have been not as high as I hoped (lettuce-4, spinach-5, kale-9) but I don’t have any previous data to which to compare these values. I haven’t had a chance to try foliar feeding and am not sure if I will do it anytime soon. I would rather depend on my soil. I will most definitely be testing my soil again this winter and enlisting your assistance again. My goal is to improve health through fertile soils, not to get bogged down in doing garden soils. I want a revolution NOW! Your site is a means to getting fertile soils. I’ve had a volunteer, Eric who has been actively using his brixmeter on various fruits and veggies around the county. He’s experimenting with conventional, vs. pesticide-free, vs. organic veggies. I’m happy to report that our squash scored a very high 14 out of 15 and our carrots also the highest of all those he tested. Much of it is due to the soil analysis which Erica conducted and the follow-up of supplements/nutrients we applied to the field and other areas. The first time I got a recipe for amending the soil in my new raised garden bed, I followed the recipe and sprinkled it over the soil in the box. Then my husband used lumber scraps and built a second box. I didn’t bother amending it. I bought vegetables in the little 4-paks that year but had too much to fit in the one amended box. I decided to put a couple of each kind in the amended box and then, without even thinking that I was setting up a perfect control group, put the extra plants in the unamended box. The difference between the plants in the amended box was astounding! They were very tall and deep green and the vegetables produced there had much more taste. The photo is one leaf from a zucchini in the amended box in comparison to the zucchini plant in the unamended box. The other photo is the amended bed. Everyone who experienced my garden that summer is amending their soil! The vegetables were excellent this year. My customers all loved them declaring that they taste better and last longer than anything that they have had so I credit the strategies learned through your website and the Intelligent Gardener. Get a soil test. Get amendment recommendations tailored for your soil, your conditions. Balance the minerals in your soil to build a home for biology. Grow plants synergistically with soil biology for optimum health. In 2012 we wrote the first version of OrganiCalc. Early in 2013 we started Grow Abundant Gardens. Since then we have helped thousands of people from all over the world understand their soil tests and remineralize their food. Our passion is growing great food, and helping other grow great food. 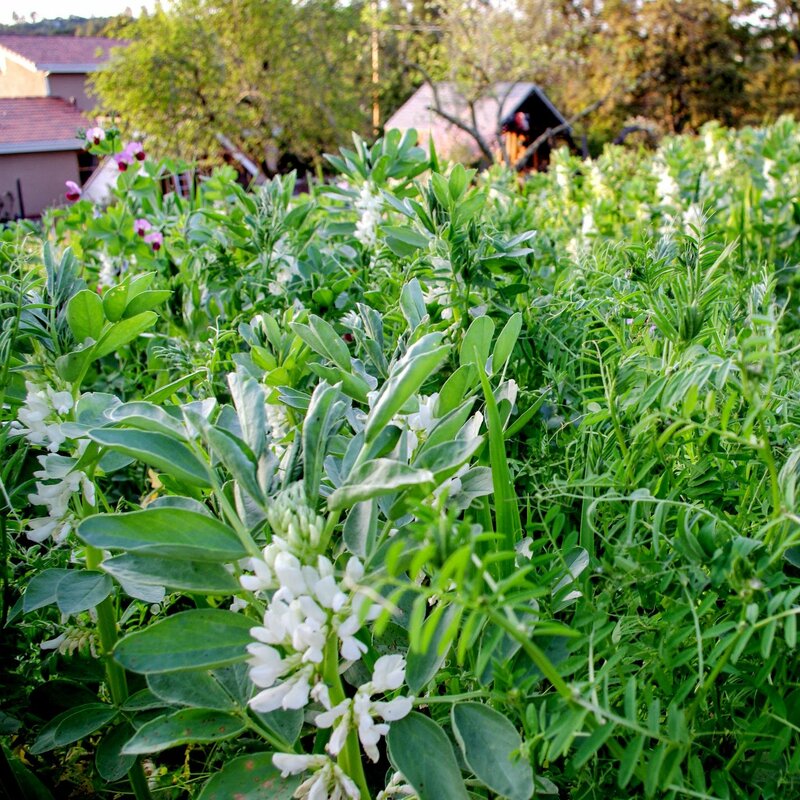 We study the methods of regenerative agriculture and use them in our own garden. We have both been gardeners since childhood. We love hearing how you and your garden are doing. Feel free to contact us or visit us.